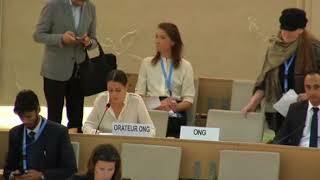 International-Lawyers.org and the Geneva International Centre for Justice note on the UPR report on the Netherlands. We welcome the involvement of civil society from different parts of the Kingdom of the Netherlands in drafting its UPR report to the Council. We note with concern the growing number of instances of xenophobia, and especially, Islamophobia, in the Netherlands. We urge the government of the Netherlands to adequately address such discrimination using as a central guide not only the Convention on the Elimination of All Forms of Racial Discrimination, but also the consensually adopted Durban Declaration and Programme of Action.